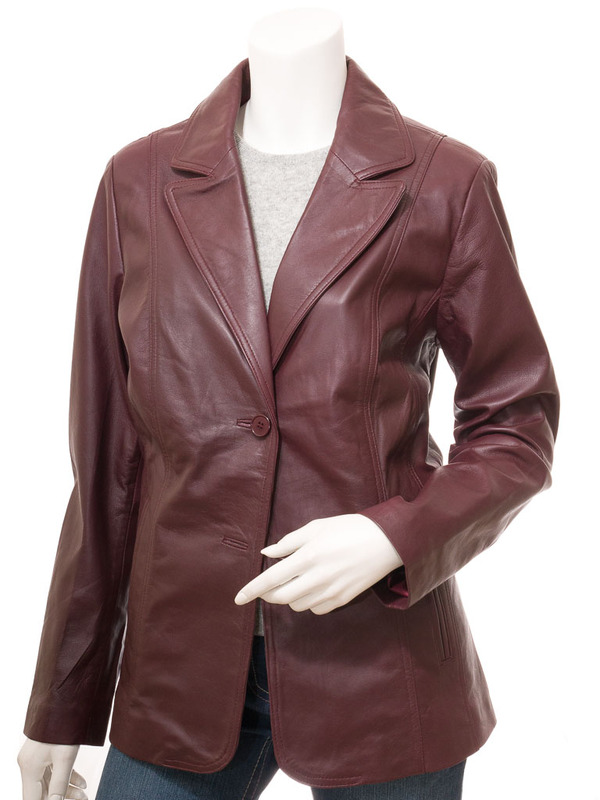 A longer length leather blazer. 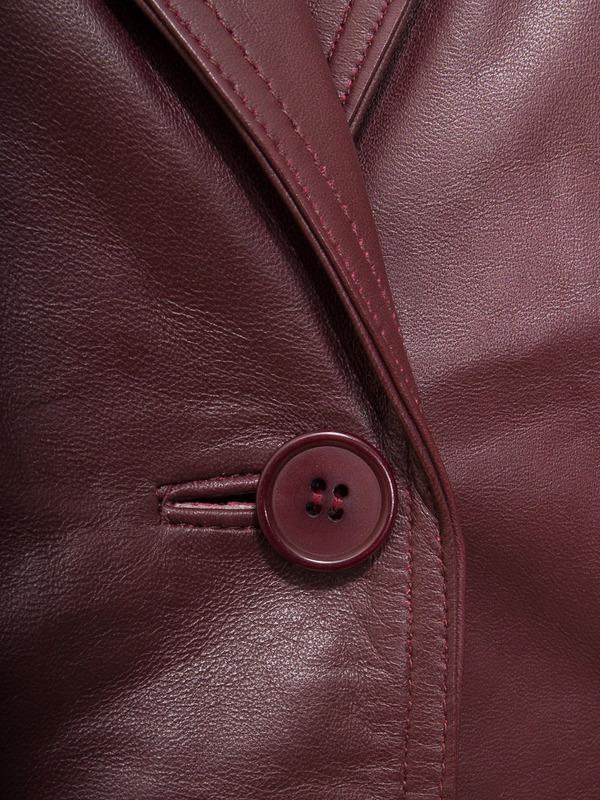 Combining a sophisticated, tailored style with premium burgundy sheep nappa leather was always going to be a winner. This jacket features a two button single breasted front with high notched lapels. 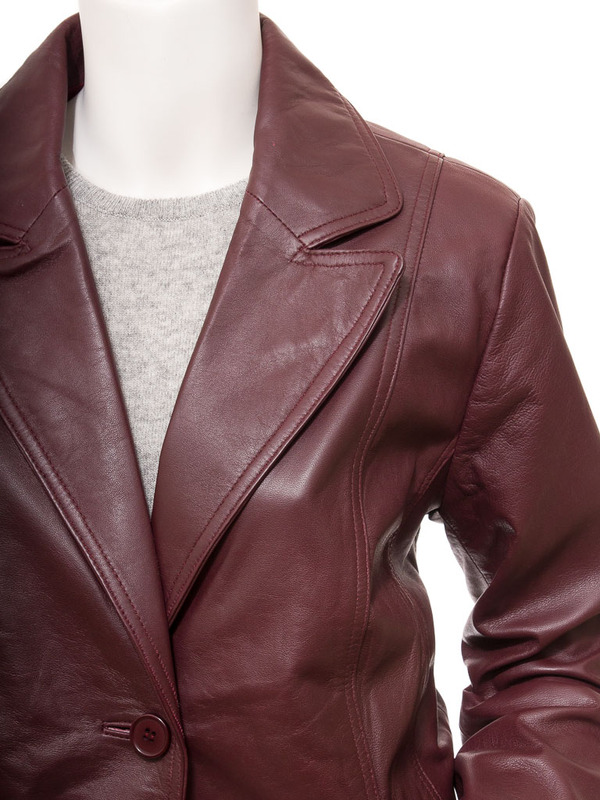 Hip pockets are jetted and verticle to mirror the slimming panel seams running down the front. 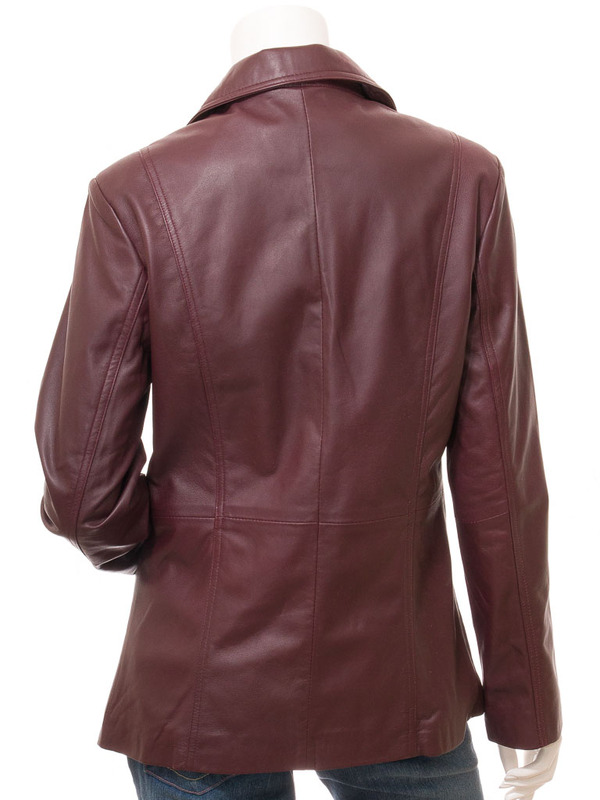 The back is plain whilst the interior is fully satin lined with another two pockets for added security.